We are conducting research aimed at promoting advanced labor saving technique for farming to facilitate the establishment of large-scale paddy field crop rotation and highly profitable farming system. (1) Development of new technologies using ICT in order to reduce the workload in spring of rice cultivation by sparse transplanting and ground leveling in the previous year for direct sowing in well-drained paddy fields with the aim of establishing a large-scale lowland farming system particularly adaptable to Hokkaido where the cropping season is limited. 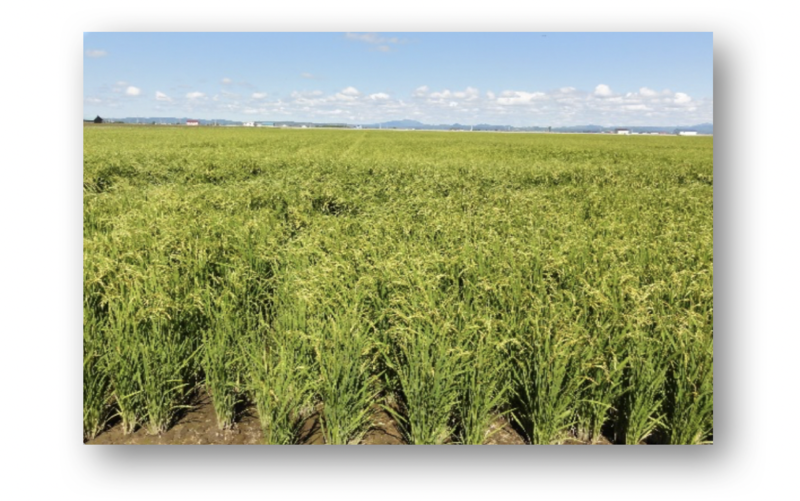 (2) Development of a lowland crop rotation system that will enable both labor saving and improvement in the yield of rice and other crops such as wheat and soybeans in converted fields. (3) Evaluation of the effectiveness in improving management with the introduction of new technologies in order to accelerate the promotion of these technologies. The establishment of highly profitable farming models including cultivation of open-field vegetables such as onions in large-scale lowland farming.